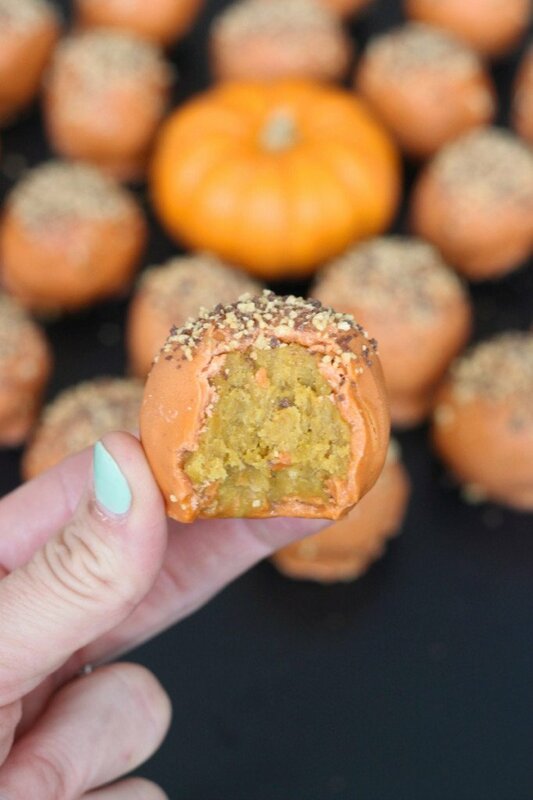 There’s a pumpkin palooza going on in these cake balls that are full of fall flavor! 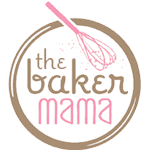 This past weekend, I was busy busy baking up goodies for a state fair demo, a few blog posts and my sweet friend’s baby shower! I’m definitely exhausted, but had so much fun baking up a storm in the kitchen. For the baby shower, I had volunteered to make cake balls and since pops of orange were part of the rustic theme for the baby boy’s shower, I thought pumpkin-flavored cake balls would be so yummy and super cute! Because the cake was so moist, I didn’t even have to use cream cheese frosting (like I usually do when making cake balls) to be able to roll it into little balls of pumpkin bliss. I literally just mixed the baked cake together in my stand mixer on low speed and then divided it into bite-sized balls. 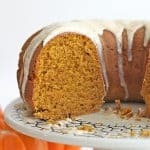 I also discovered that Wilton makes pumpkin spice candy melts (sweet!) and the cutest little turtle crunch sprinkles that I knew would go great with the pumpkin flavor and theme for the shower! 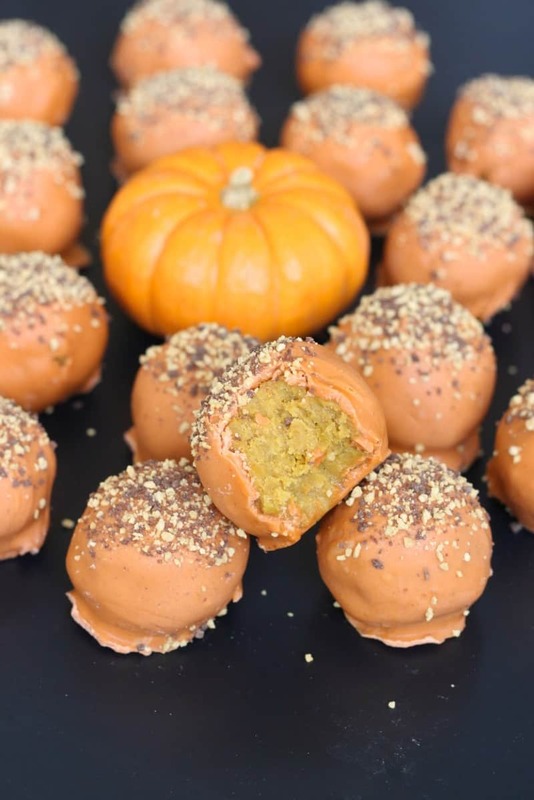 These pumpkin spice cake balls turned out terrific and have quickly made their way to the top of my fall faves! There’s no mistaking they’re pumpkin through and through. 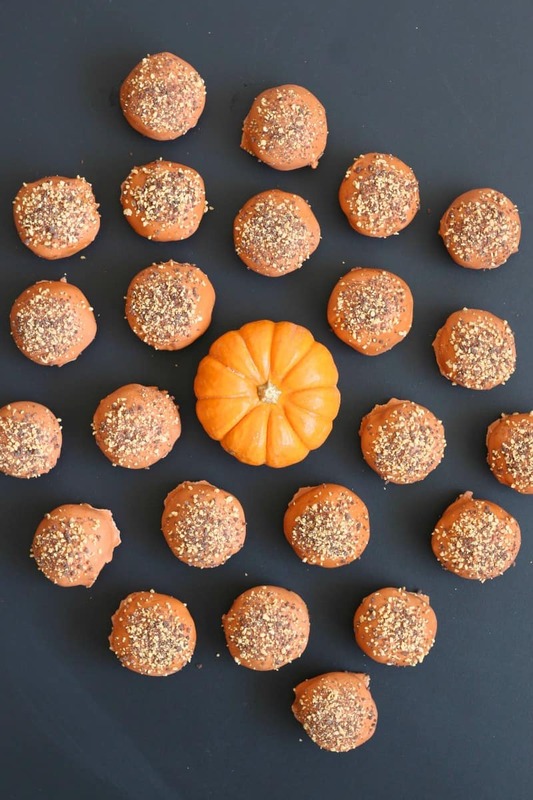 If you’re looking for a falltastic treat to take to a party or get-together, these are for you! 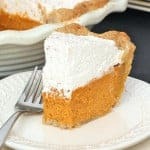 Easy and oh so yummy! Everyone will LOVE them! 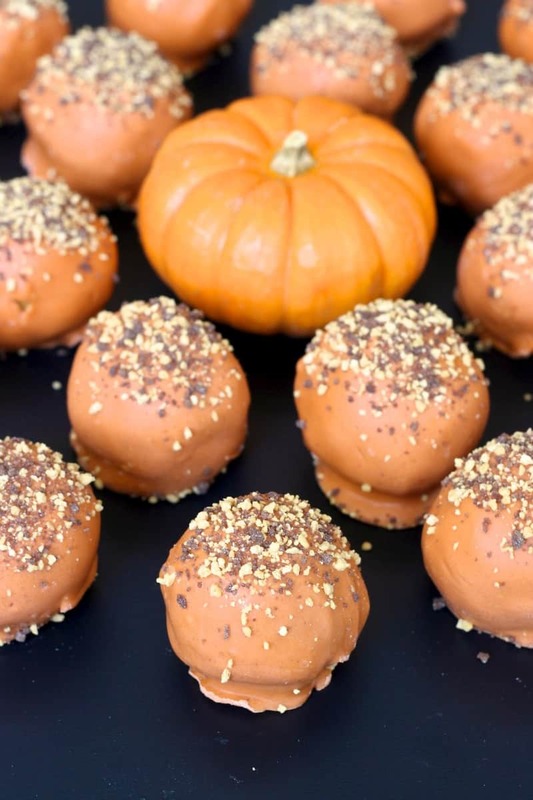 There's a pumpkin palooza going on in these cake balls that are full of fall flavor! 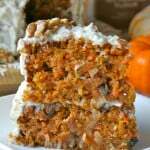 In a large bowl, stir together the cake mix, pumpkin and water until well combined. Spread into a lightly greased 9x13-inch baking dish and bake for 30 minutes or until a toothpick inserted in the center comes out clean. Let cool completely in baking dish. 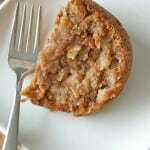 Crumble cooled cake into the bowl of an electric mixer and beat on low speed until cake comes together in a moist ball. (You can do this step with your hands in a large bowl as well.) 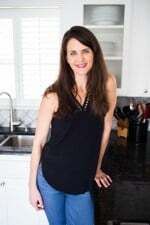 Roll the cake into 2-tablespoon sized balls and place them on a parchment-lined baking sheet. You should get about 30 cake balls. Place cake balls in the freezer for 30 minutes. Melt candy melts according to package directions in a shallow bowl. Dip one frozen cake ball at a time into the melted candy coating and use a fork to turn it around until completely coated. Gently lift the coated cake ball from the candy coating with the fork and let the excess drip back into the bowl. Transfer back to the parchment-lined baking sheet and immediately sprinkle with some of the turtle crunch sprinkles. Repeat with remaining cake balls. Let cake balls rest until candy coating is completely set. NOTE: I got the pumpkin spice cake mix, pumpkin spice candy melts and turtle crunch sprinkles all at Jo-Ann's. What are Turtle crunch sprinkles? Hi Sharon! They’re Wilton brand sprinkles that are turtle brownie flavored. 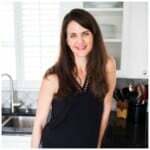 You can find them in the cake decorating or baking aisle at JoAnns, Wal-Mart and most other stores that have a good cake decorating section. Love them!